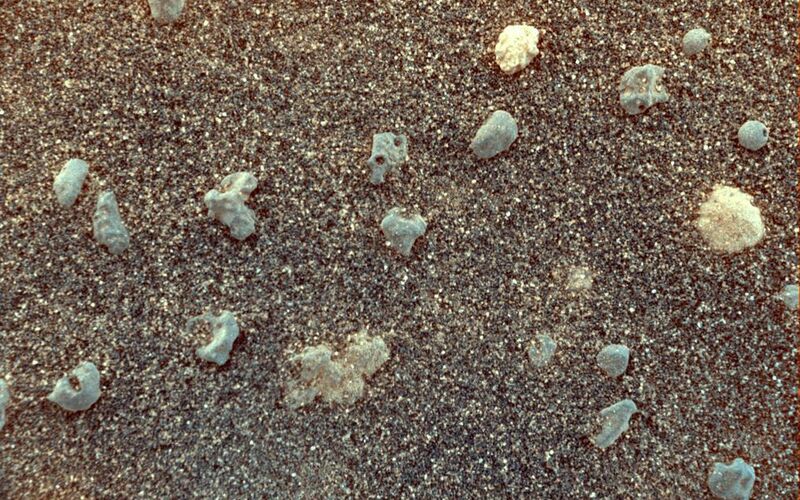 This magnified look at the martian soil near the Mars Exploration Rover Opportunity's landing site, Meridiani Planum, shows coarse grains sprinkled over a fine layer of sand. 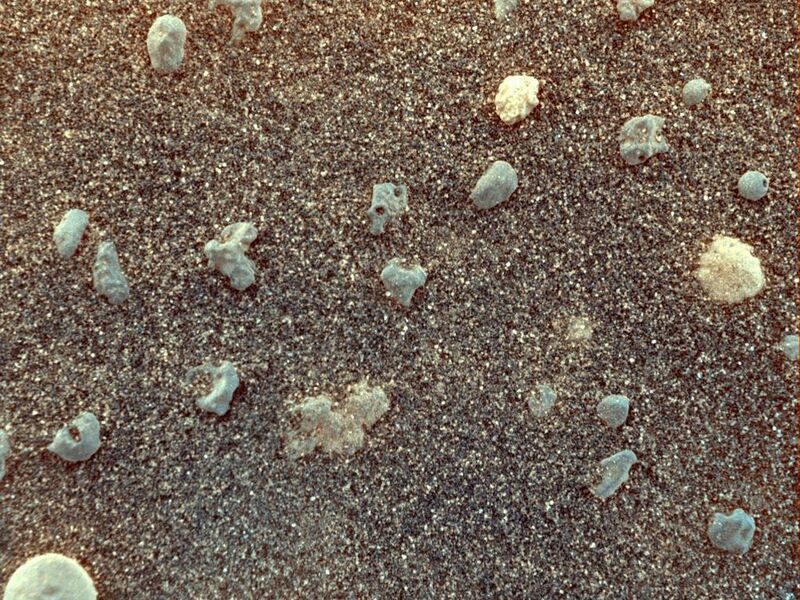 The image was captured on the 10th day, or sol, of the rover's mission by its microscopic imager, located on the instrument deployment device, or "arm." 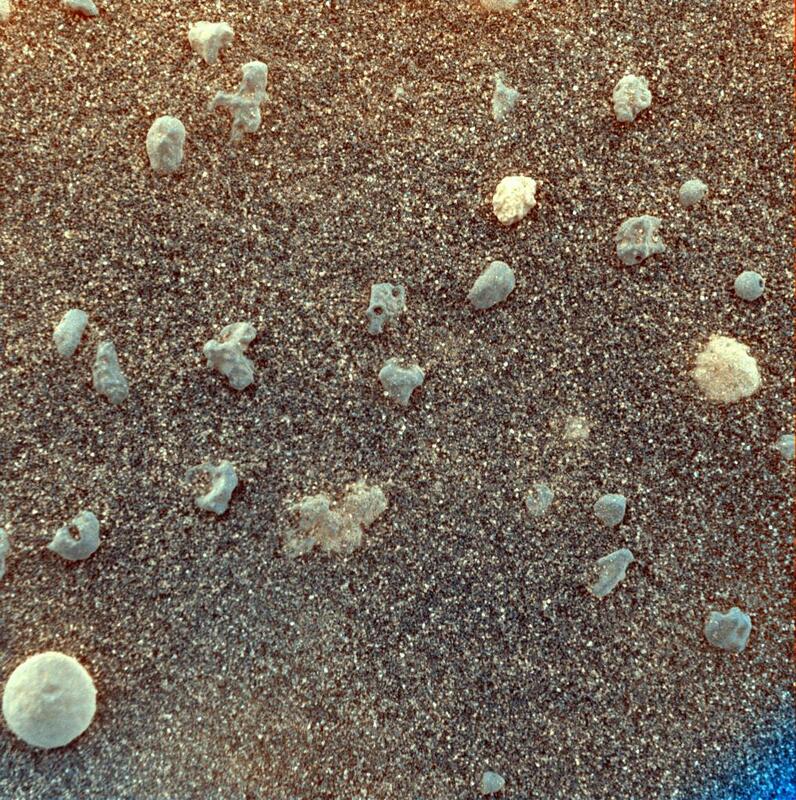 Scientists are intrigued by the spherical rocks, which can be formed by a variety of geologic processes, including cooling of molten lava droplets and accretion of concentric layers of material around a particle or "seed." The examined patch of soil is 3 centimeters (1.2 inches) across. The circular grain in the lower left corner is approximately 3 millimeters (.12 inches) across, or about the size of a sunflower seed. This stretched color composite was obtained by merging images acquired with the orange-tinted dust cover open and closed. 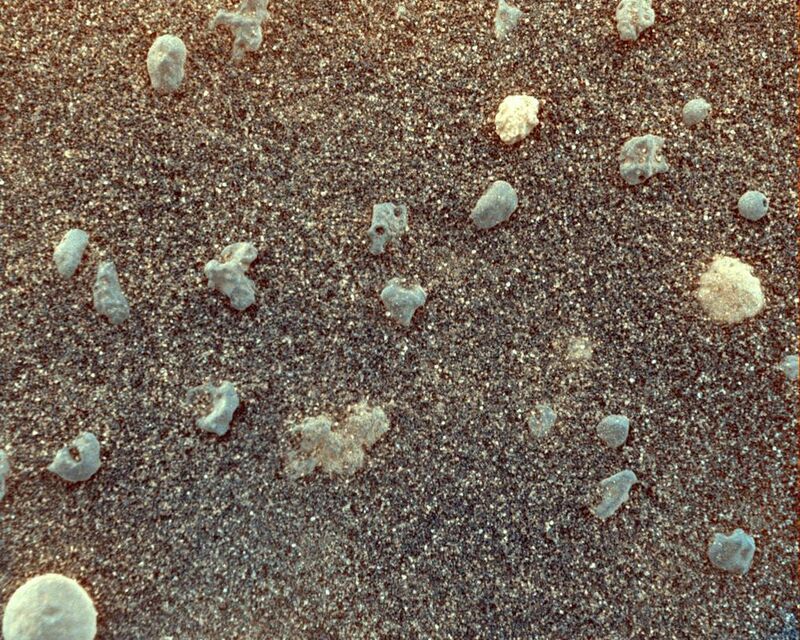 The varying hints of orange suggest differences in mineral composition. The blue tint at the lower right corner is a tag used by scientists to indicate that the dust cover is closed.